Pace Edwards was originally a company that sold sailboat parts. Over the years, they have evolved and entered the world of truck accessories. They were the first company to introduce the retractable truck bed cover in 1988. 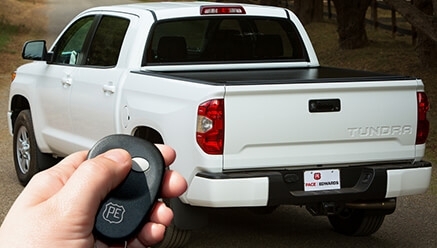 With just a push of a button, you can operate this tonneau cover. Perfect for those who frequently load plenty of stuff into their truck. 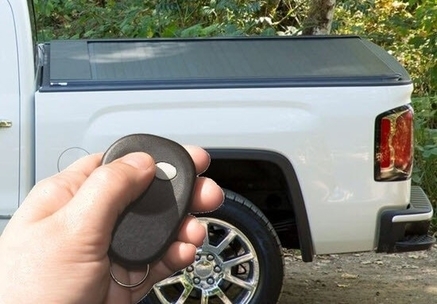 With the wireless remote, you can have access to your truck bed cover easily and conveniently. 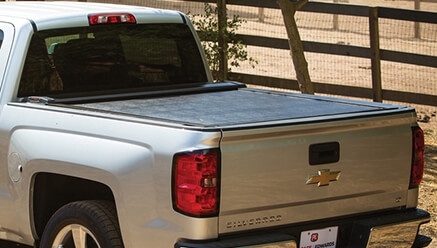 Offering maximum security and style, you can’t go wrong with this tonneau cover. 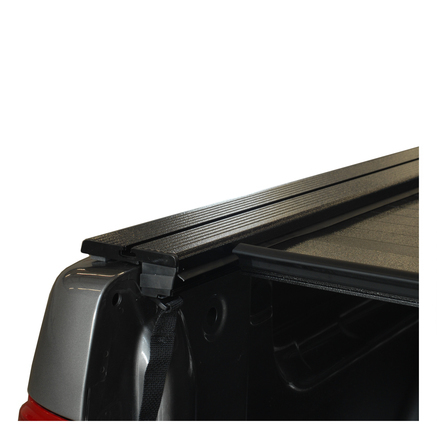 Its exclusive power spring design makes it easier for you to access your truck bed. 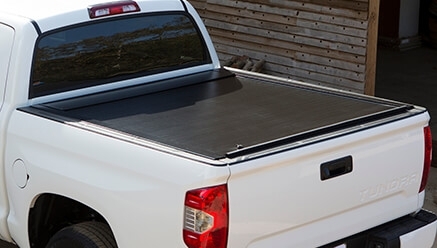 Get your full bed access and full bed coverage with this tonneau cover without having to go through a complicated process. All you have to do is easily switch from full access to none! Now offering more convenience, this latest addition guarantees strength like no other. 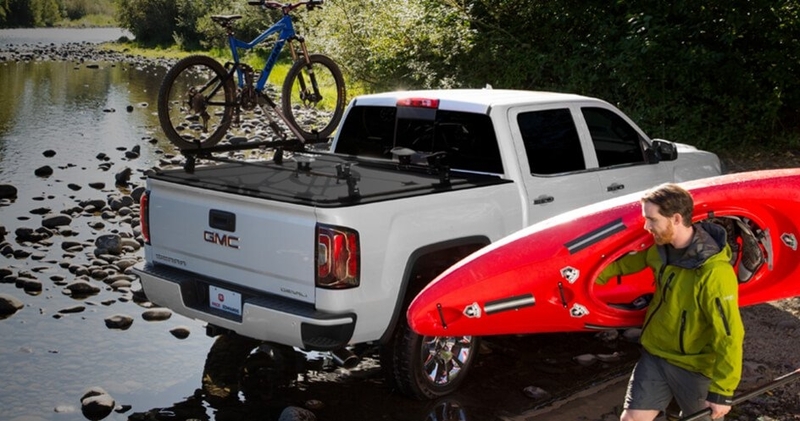 You will love the new features that this tonneau cover brings. 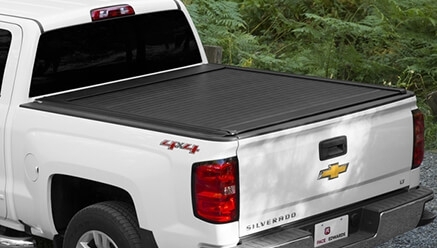 For the most convenient truck bed cover that will deliver maximum durability and the ultimate protection, the Pace Edwards UltraGroove is a great choice. 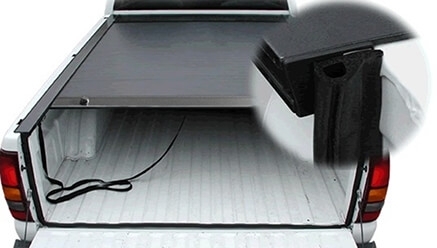 You will get so much out of this tonneau cover that is also very easy to install. With this, every penny that you spend on it will be worth it! 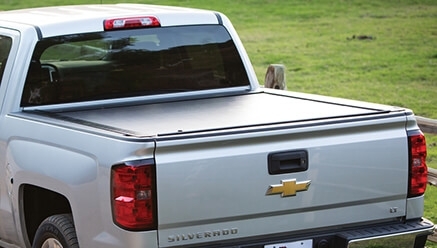 The low-profile design and sleek style of this tonneau cover will catch your eye right away. Its all-metal deck that are powder-coated also utilized Pace Edwards’ exclusive “Living-Hinges” that prevent debris from being trapped. To set it apart from the first UltraGroove Tonneau Cover, this one comes in a more metallic look. It is easy to use and has all the features for user convenience and maximum security of gear stored under and on the truck bed cover. Add a stylish double-decker to your truck. 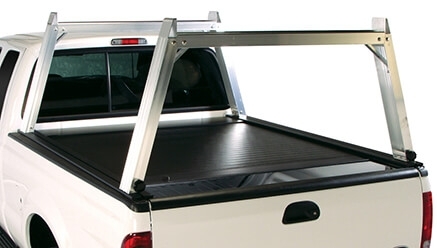 This will allow you haul more items and make the most out of the back of your truck. 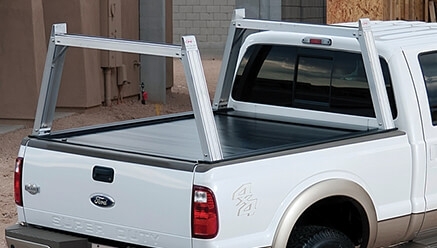 If you're looking to elevate your Jackrabbit tonneau cover with contractor's rails, this is it. This will allow you to haul more cargo, perfect for those long days on the job. Giving you more chance to save your fuel, this tonneau cover kit will secure your cargo in style. 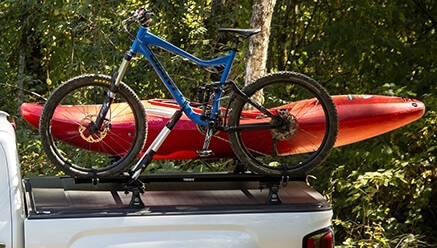 Looking for more storage space for your cargo? This Rig Rack is a great choice. Constructed from heavy duty aluminum that is corrosion-resistant, you got yourself a long-lasting rack. It also has a huge weight capacity of 1,250 pounds, making it THE rack for contractors. 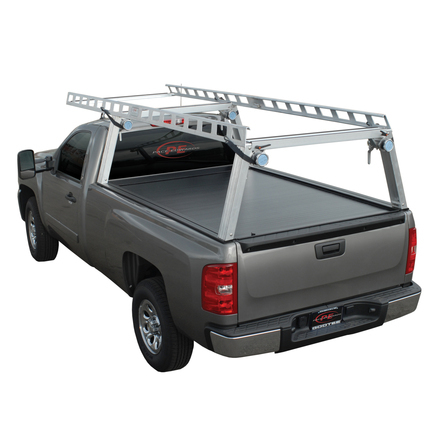 Designed to take the stress from removing tonneau covers for frequent haulers of longer cargo, this rig rack is a dream come true. Made from heavy-duty aluminum and durable black finish, it guarantees versatility and functionality. 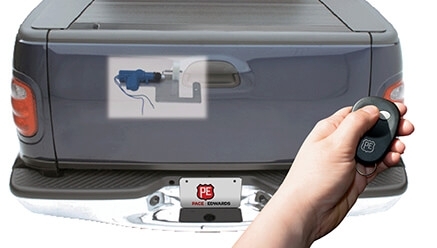 The PowerGate locks your tailgate each time you lock your truck doors. For truck owners that have manual doors, an optional switch kit is also available to use the PowerGate. Protect your truck bed and cargo from harmful elements with the tailgate seal. This can fit all types of trucks and it is very easy to install. Part of the Truck Accessories Group LLC, Pace Edwards is dedicated to manufacturing high-quality vehicle accessories. Their signature: rugged and reliable. Following their success as the first company to offer retractable truck bed covers in 1988, the company continues to be a leader in the industry. For more information on Pace-Edwards, please visit the Pace-Edwards official website.